If you need a garage door installed in the Nashville, TN, area, look no further than 31-W Insulation. We’ve provided more than just insulation for Middle Tennessee homeowners since 1972, giving us the expertise to help you choose the best closet systems, bathroom hardware, garage doors, and other products for your home. 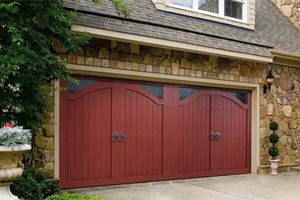 Many of the garage doors we install even come with a limited lifetime warranty. Plus, because Amarr® has been in business for more than 60 years, you can trust that they have the longevity and reputation to stand behind their warranty. Whether your Nashville, TN, area home needs a new garage door to increase its curb appeal, improve its energy efficiency, or to help your family feel more safe and secure, our team will factor in your practical needs as well as your aesthetic preferences to help you select the ideal door for your family. If you live in Goodlettsville, Millersville, White House, or anywhere else in the Nashville, TN, area, click here to schedule a free in-home estimate for your new garage door.